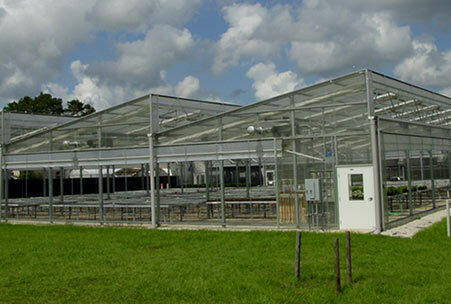 At United Greenhouse Systems, our SideWinder™ roll-up/down walls and vents are a readily available option for all of our greenhouse structures. 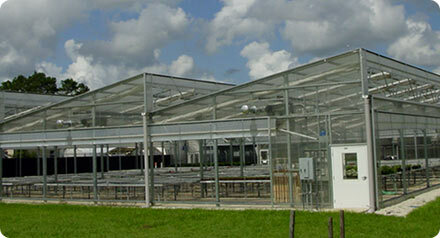 A SideWinder™ roll-up systems allows you to maximize natural roll-up-systems in your greenhouse operations. Our systems can be driven with manual gearboxes or automated with motorized drive systems. 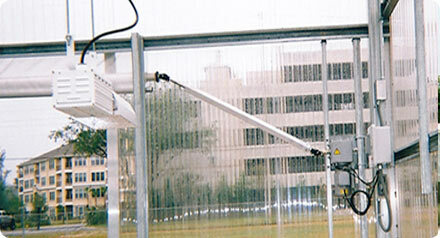 SideWinder™ rollups are an excellent, affordable option for many growing environments. Many fabric types are available as well. 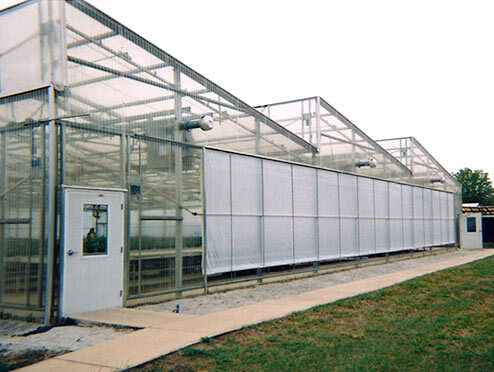 Click the drawing below for further details on maximizing the natural roll-up-systems of your greenhouse with the SideWinder™ Roll-Up Curtain System available from United Greenhouse Systems. 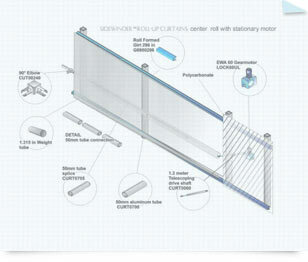 Above is a SideWinder™ roll up wall curtain system nearing the shut position. 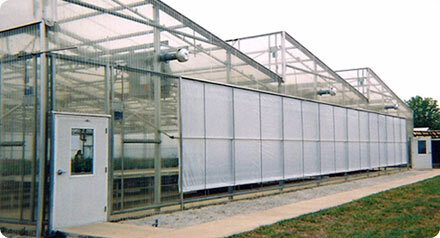 A wide variety of fabrics are available for SideWinder™ roll up walls and vents. This range of Federal structure houses features SideWinder™ roll-up sidewall and endwalls, as well as SideWinder™ roll-up vents designed for the saw tooth truss. This system features a motorized driven Cardan Shaft which spins our telescoping tube in order to operate this SideWinder™ roll-up wall.